Making extensive use of standard Layher Allround® components, propping and formwork requirements are met through our falsework systems and associated expertise. As a result, speed, strength, safety and profitability are enhanced. Both standard and complex propping tasks can be addressed with the standard Layher Allround® components, including wide slab flooring installations. The system design means time savings on site, high load bearing capacity and overall efficiency are all maximised while low weight means ease of handling and transportation. Safety certification includes compliance with ISO 9001 TUV and AS/NZS 1576 standards. 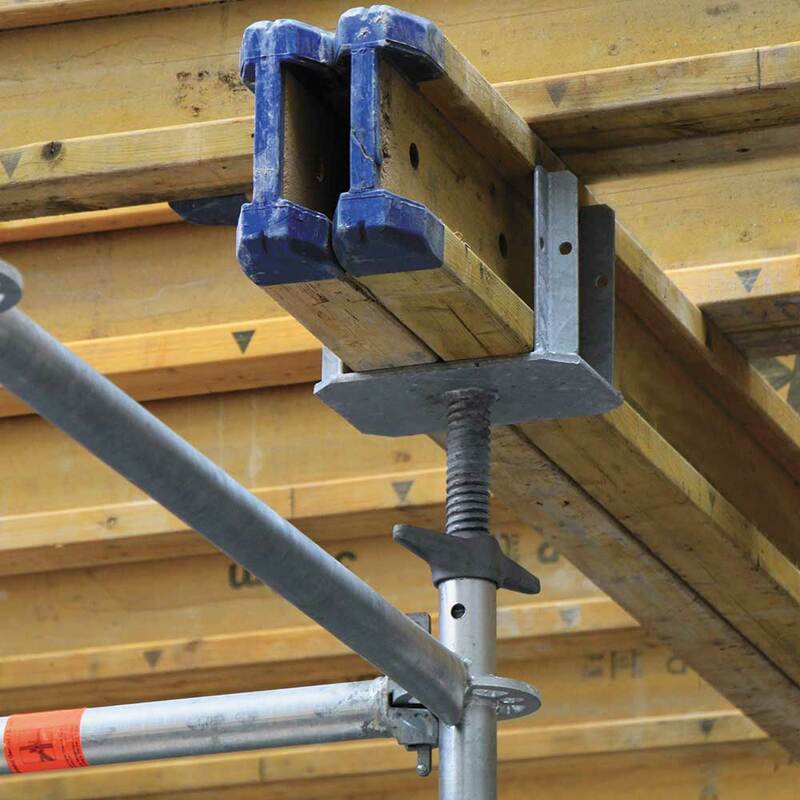 From general scaffolding applications to those in the event sector, the Layher Allround® Bridging Truss system offers key advantages and is fully compatible with Layher Allround® Scaffolding. Typical installations range from footbridges to support girders for heavy loads, with a choice of bay sizes to optimise versatility. 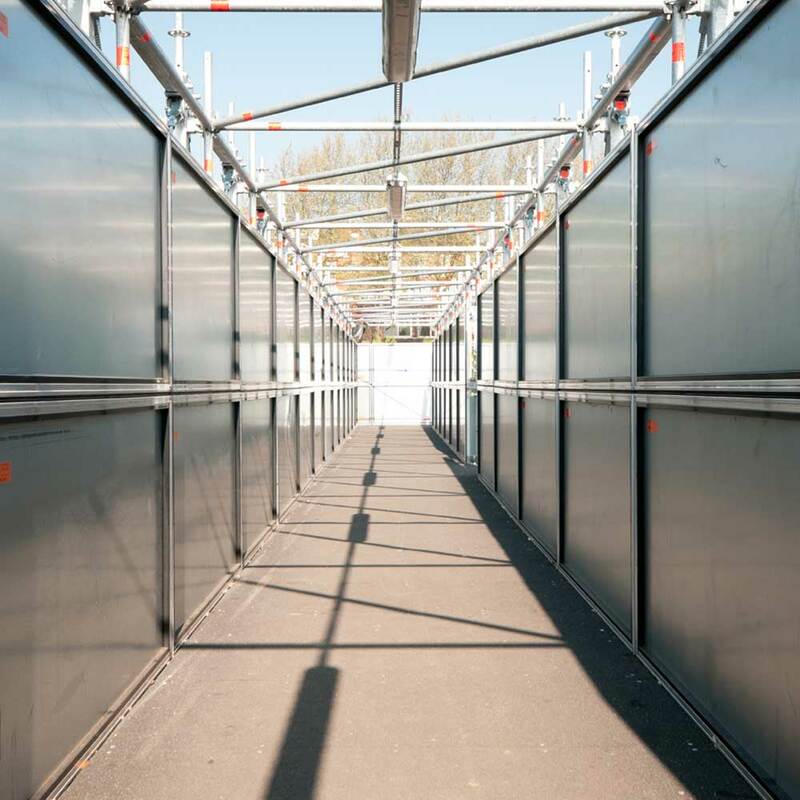 Construction can be in-situ or at ground level for craning into position, while a choice of optional fittings includes steel or event decking, Layher ‘Protect’ panels, child-proof guardrails and temporary roof sections. As a result, clear benefits – almost irrespective of terrain and pedestrian traffic requirements – can be readily achieved. Comprising just two main components – rectangular frames and separate guardrails – the Layher STAR Frame concept interfaces directly with the Allround® rosette design with excellent versatility and installation speed the direct results. 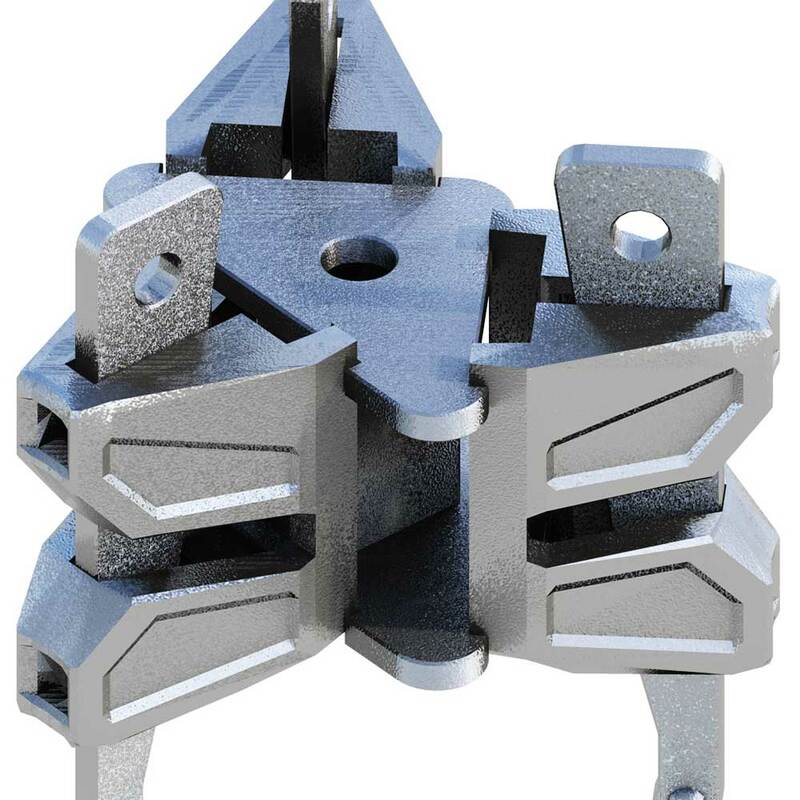 Weight savings of up to 42% can also be achieved while the guardrail connection features both a hook system that can be assembled without tools and locks, and a high visibility-closing bracket. Moreover, any standard Layher deck can be installed with the system, optimising equipment usage and cost efficiency further still. Designed to meet the needs of speed and stability from a single versatile system, Layher SpeedyScaf® uses just five standard components including scaffolding frames, a choice of steel, aluminium or wood decks and a diagonal brace – the latter only required at every fifth bay. 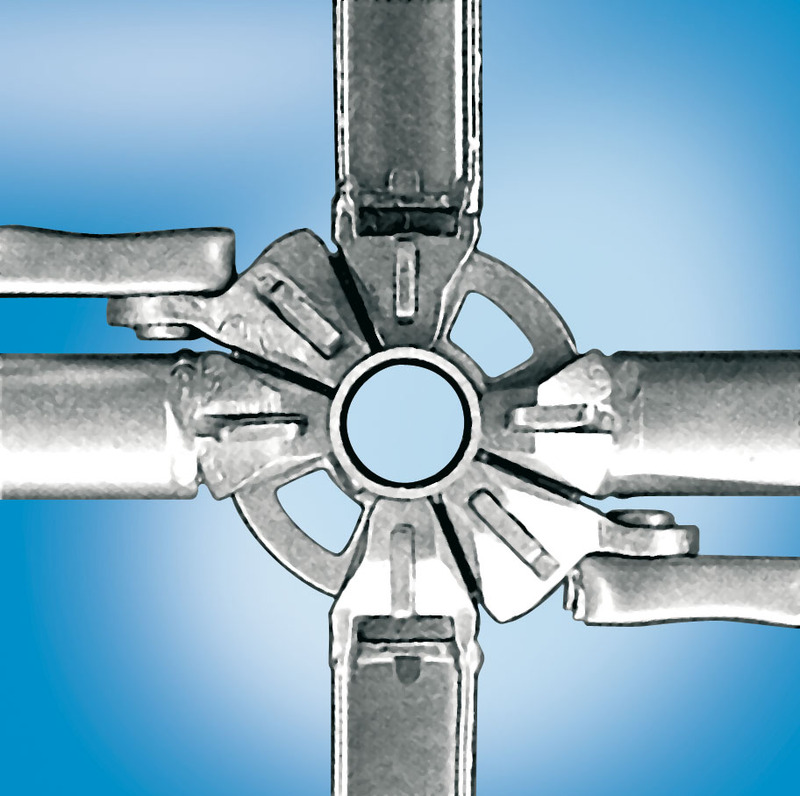 The design guarantees structural accuracy and integrity while assembly and dismantling times of up to 75% compared to tube and fitting can also be gained. 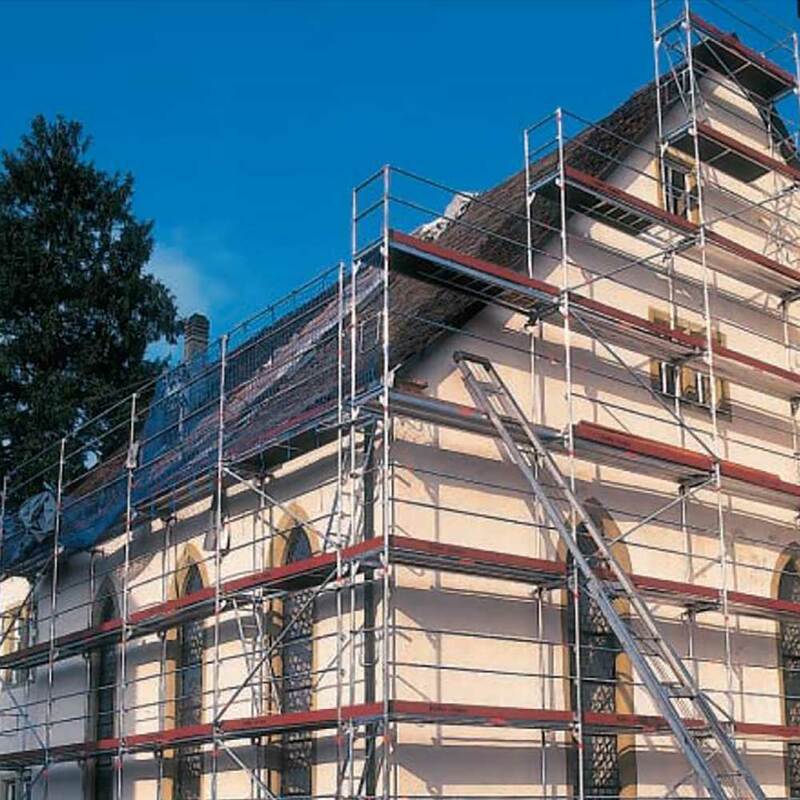 A choice of additional parts and scaffold widths extend the versatility of the well-proven SpeedyScaf® design. 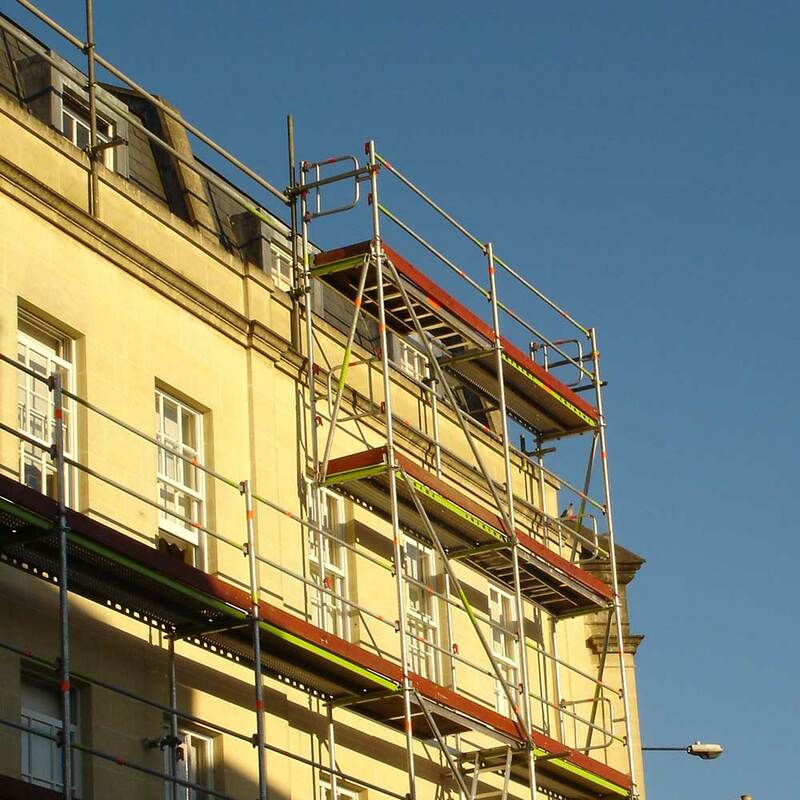 An extensive choice of accessories brings even greater versatility to Layher scaffold and protection systems, and is a clear demonstration of our ongoing commitment to innovation.